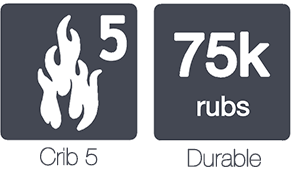 Here you can find out a bit more about each of the fabric ranges we offer. 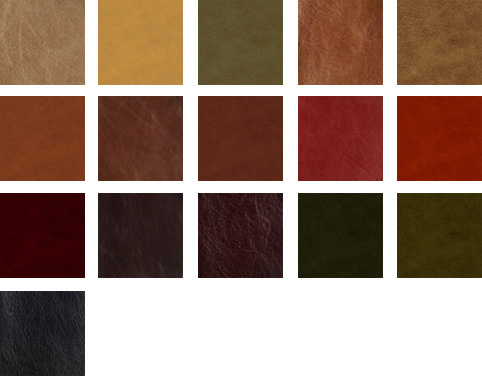 From hard-wearing faux leathers to luxurious pure wools, we have upholstery fabrics for every environment and every use. 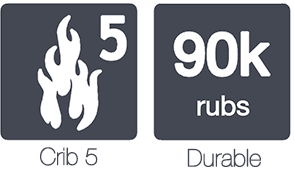 All of our fabrics are Crib 5 certified and we only select the best, most trusted suppliers of contract upholstery materials. 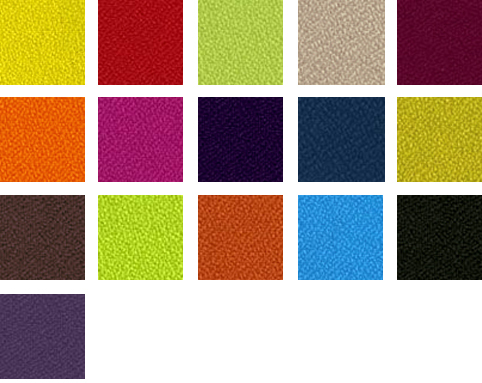 To make things easier for you, we have selected the 20 or 25 most popular colours from each range and made these available across our website, but we know sometimes the colour you need isn't quite there, so if you click the 'View Colour Card PDF' links below each range, you'll be able to see the entire colour spectrums available. 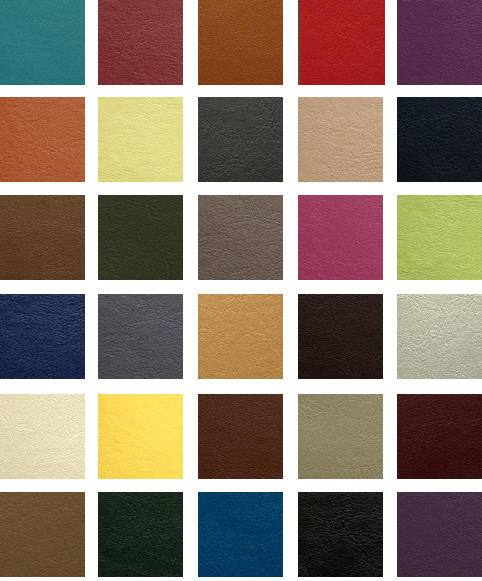 Designed to withstand the rigorous demands of every day contract use,the Just Colour vinyl range features a rich blend of vivid contemporary colours along with warm, classic neutrals in a clinically smooth texture. 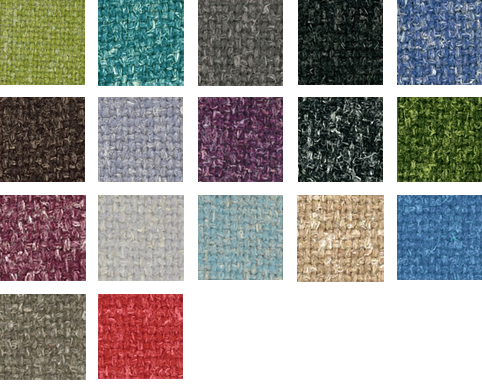 A durable wool blend available in 40 colours (click link below to see full chart of colours) ranging from bright reds and greens through to subtle and sleek greys. 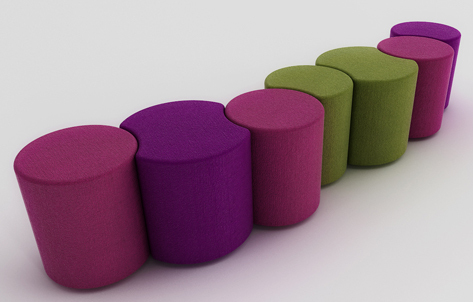 Advantage is ideal for formal seating areas and offices that expect to see frequent use. A premium faux leather that is among the best in the market for both style and practicality. Aston tops all of its rival vinyls for durability, scratch & stain resistance, and anti-microbial technology. 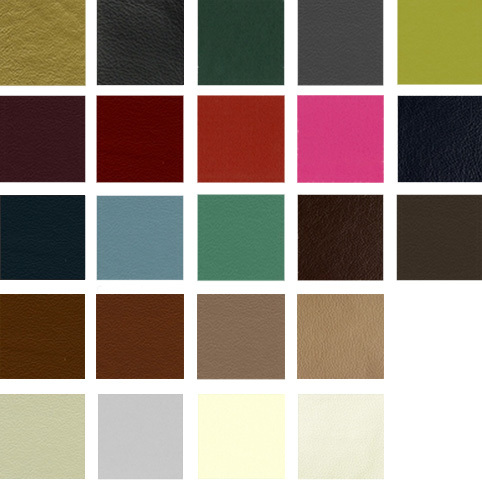 What's more, this vinyl has a beautiful textured finish to make it look just like real leather. 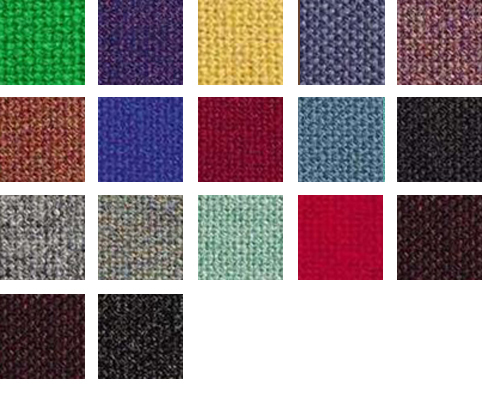 An ever-popular virgin wool fabric with remarkable resistance to abrasion, Mainline is soft to touch yet hard-wearing enough for frequent contract use and comes in 40 colours with an impressive range of blues and purples. A super-strong, ultra-durable, UV-resistant, waterproof fabric that will stand up to the demands of even the heaviest contract use. 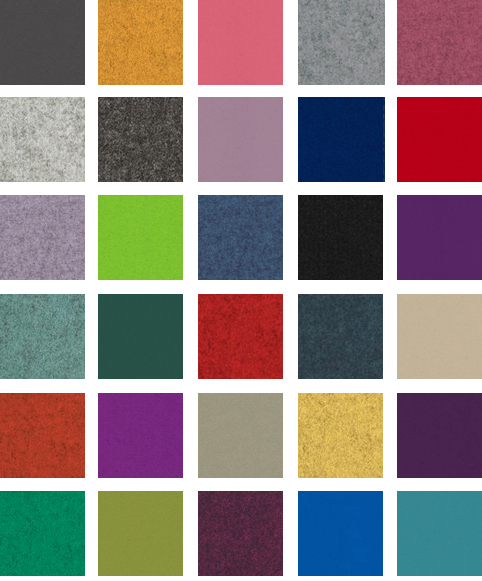 Atlanta is a popular choice for schools, colleges, community centres and the like given that as well as being hard-wearing and washable, it offers a terrific range of bright and bold colours. 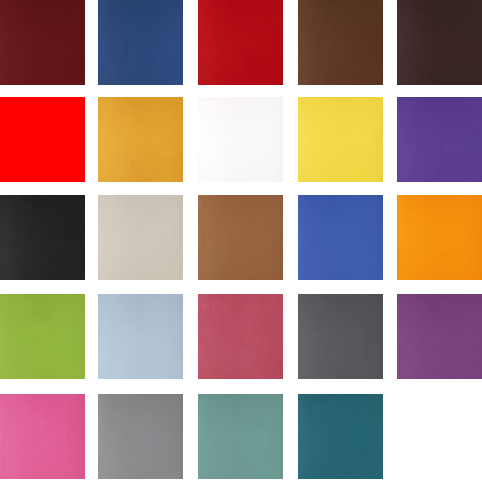 A top-performing vinyl range boasting well over 80 colours (enquire to see more). 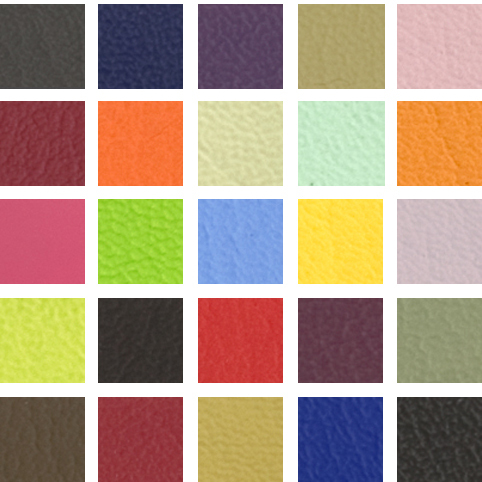 Spectrum Faux Leather is a hard-wearing, wiepable vinyl with a protective finish proven to resist staining, scuffing and abrasion. Made from totally natural and renewable Laneve Wool in New Zealand, Blazer is a premium fabric offering an expansive range of beautiful solid and melange shafes. Ideal for offices, Blazer is the pick of the bunch when it comes to elegance and luxury. 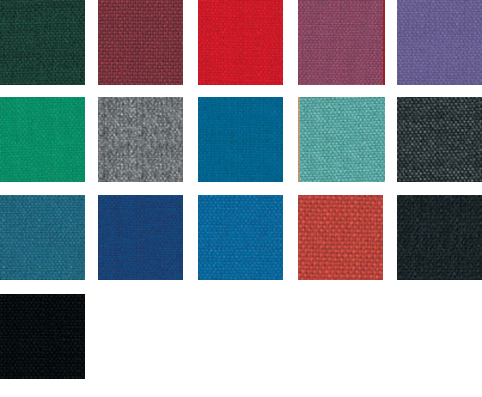 Blended with Pure New Wool into a 60-40 wool-hemp yarn, Hemp is then woven into a classic plain weave fabric. When piece-dyed, only the wool portion becomes coloured which produces a wonderful speckled finish that is full of character. 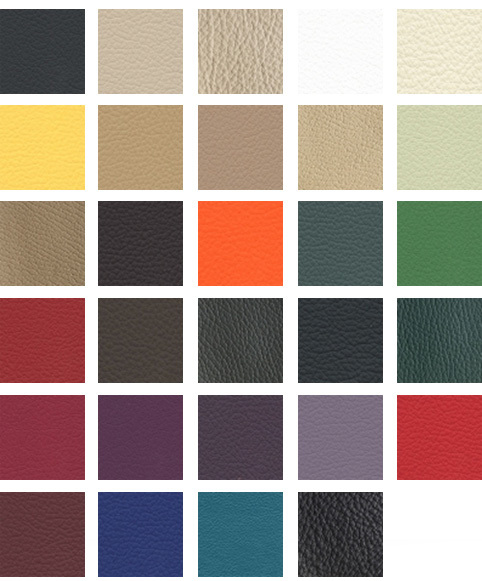 A vibrant range of genuine leathers that have been produced with a pigmented topcoat and embossed with an attractive grain print for enhanced character. 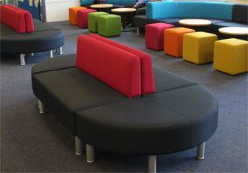 Shelly leathers provide outstanding durability and stain resistance which makes it suitable for all soft seating environments. A range of lightly-buffed, semi-analine genuine leathers finished with a blend of oils and waxes to achieve a cracked and distressed finish. 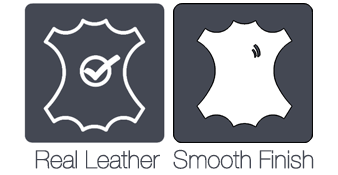 A contemporary range of genuine leathers with a high-grade grain and smooth-silky texture, Vele leathers are ultra-durable and easy to maintain.